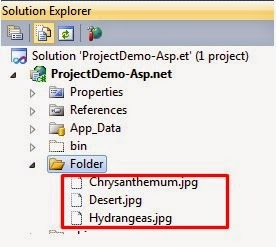 In this article I will show you how you can perform ajax file upload in your asp.net application. In this article I have used Asp.Net, AjaxFileUpload, and C#.Net. So for this article first you needed to create a new asp.net application and add AjaxFileUpload control, and script manager. After adding the controls your page will look as shown below. <%@ Page Language="C#" AutoEventWireup="true" CodeBehind="AjaxFileUpload.aspx.cs"
MaximumNumberOfFiles : In this we have defined the maximum no of files to be allowed to upload at a time. OnUploadComplete: In this we will define the upload function as an event to upload the file in specified folder. Width: In this we will define the control width. Now here is the server code which we will used for saving the uploaded file. Dim strUploadPath As String = "~/Folder/"
Now what you think you will be able to upload the file. No you will not be able to upload the file it will cause error while uploading the files. Now we will create folder in our solution. After success full upload let’s check the folder weather files have actually uploaded or not. Please let me know you comment..
First thanks for posting your comment. 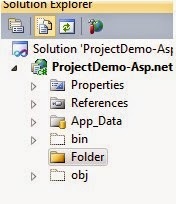 for getting AjaxcontrolToolkit reference you need to download AjaxcontrolToolkit library from asp.net website. please check the link. in this download you will get AjaxcontrolToolkit .dll . Also the control needs the TolkitScriptManager in order to run properly. Ether there is something mystic involved or the control is broken! Cant go deeper in this, wasted my whole workday on this!!! please check the web.config configuration mention in above article. Hi please check the some of the solution for the error. hi, I am able to upload the files locally on my PC. but on the web server, I see it goes to 100%, and then errored. Hi, I got this error when loading the aspx page. Parser Error Message: Could not load type 'AjaxControlToolkit.AjaxFileUploadHandler' from assembly 'AjaxControlToolkit'. Please check the below mention link for solution. i am not able to upload ,whenever i click on upload button nothing is happening, I have written handlers also in web .config ,but then also nothing is happening. In IE browser i can't see drag and drop option from one server where as same configuration working fine in different server. even its not displaying drag and drop box. both servers are windows 2008. Any section is blocking in the server.